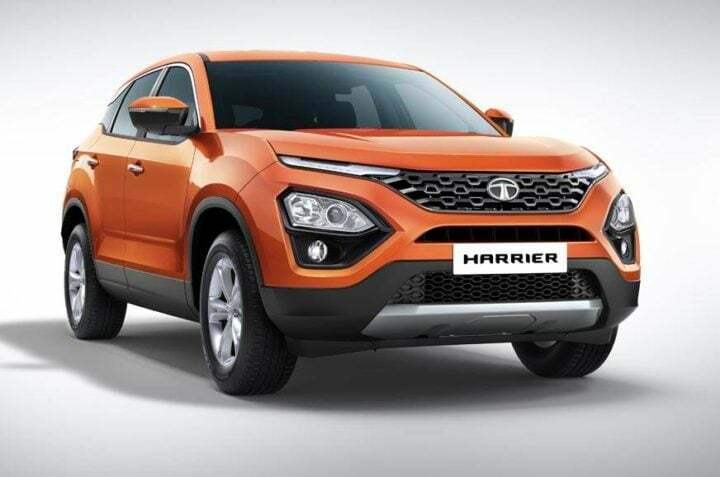 Tata Harrier not to get automatic gearbox at the time of launch! Tata Harrier will not be available with an automatic-gearbox at the time of launch. It will only come with a 6-speed manual gearbox. The SUV is scheduled to launch in January 2019. Tata Motors has been teasing the upcoming Harrier (Read More) for some time now. A leaked picture of it with an automatic gearbox was also leaked on the internet. A recent report published in Autocar India states that Harrier would not come with an automatic unit at the time of launch. First, it will come with a 6-speed manual gearbox only. The first production model of the SUV is already out and Tata has also officially revealed its exterior design. As per reports, the launch is happening in January 2019 and it will be showcased to the media by December end. As per Autocar, the reason for the delay in the automatic gearbox is due to limited supply constraints. The demand for the diesel-auto version of Harrier is expected to be high in the market upon its launch. Instead of delaying the launch of this product, it has just delayed bringing out the automatic variant. The automatic variant might directly debut on the 7-seater version of Harrier. After its debut on the 7-seater, the automatic unit will come in the 5-seater variant. So expect, the diesel-auto variant to launch by end of 2019. At the launch, Tata Harrier will only come in a 2WD drivetrain. The AWD will later debut with the 7-seater version, which will eventually come in the 5-seater as an option. The 7-seater also gets a powerful 170 BHP version of 2.0 Litre Kyrotec diesel engine. The Kyrotec engine is basically a rebadged version of the popular 2.0 Litre Multijet diesel engine. Harrier’s engine comes with Variable Geometry Turbocharger, which reduces lag while accelerating and gives more torque. The engine puts out 140 BHP max. and 300 Nm of peak torque. The engine also supports a terrain response system, which might come with the AWD system. Other safety features will include 7-airbags, ABS, EBD, Brake Assist, Traction Control, ESP, Hill Descent Control, Hill Assist control and a dedicated off-roading mode. Tata Harrier uses the new OMEGA platform. This platform is a localized version of the D8 platform, used in Land Rover vehicles. That’s why you might find a bit resembling Range Rover Evoque. Harrier is the first one to use the new platform. Also Read: Tata Harrier 7-seater spied testing for the first time! As per leaked information, the on-road prices of the SUV will be between Rs 16 Lakhs to Rs 21 Lakhs. So, the ex-showroom prices might start off at Rs 14 Lakhs up to Rs 21 Lakhs. At this price, it squarely aims against Jeep Compass and Mahindra XUV5OO.